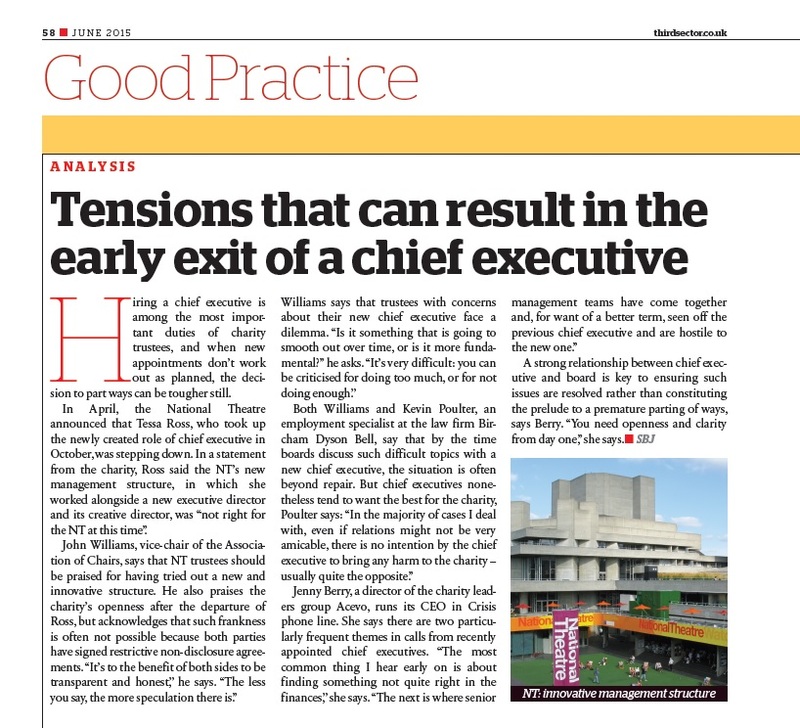 I recently provided some insight into the relationships between charities and their chief executives for Third Sector magazine. The article followed the recent parting of ways of Tessa Ross from the National Theatre. The article, also featuring the comments from ACEVO’s Jenny Berry, can be read in full here. Tags: ACEVO, CEO, Charity, Chief, Employment, Governance, Jenny Berry, Lawyer, Media, National, Social, Solicitor, Theatre, Third Sector. Bookmark the permalink.